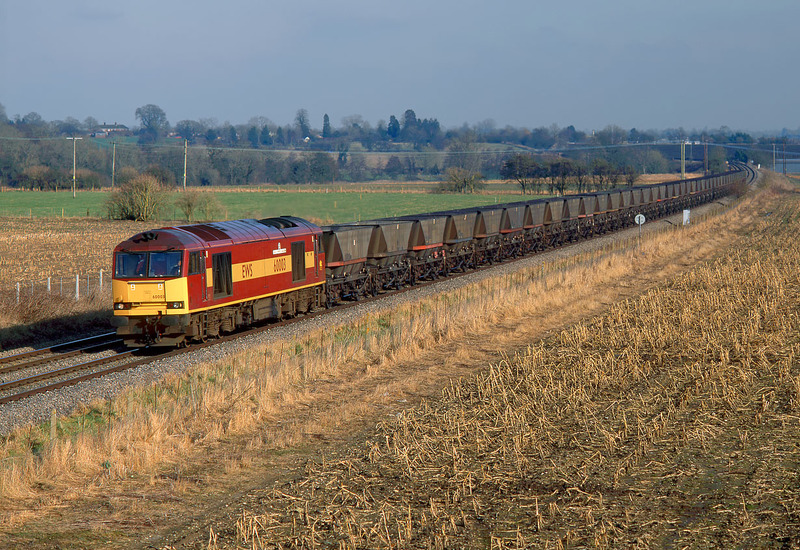 60003 Freight Transport Association passes Manningford Bruce on 17 February 2001 with the diverted 6C64 11:59 Didcot Power Station to Avonmouth empty MGR. The train's normal route via Swindon being closed for engineering work. Ah, the good old days, with Class 60 haulage and four wheel HAA wagons!